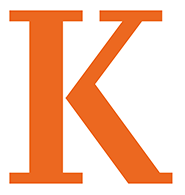 The Kalamazoo College Counseling Center is a safe place for students to discuss their personal concerns. Counseling is not just for students who have a major problem or are unable to cope with their present circumstances. Any student who would like to sort out any issue is encouraged to make an appointment. Some of the most frequent concerns that bring students to the Counseling Center are: depression, anxiety, trouble with romantic relationships, family issues, academic stress, learning disabilities, low self-esteem, difficulty getting along or making friends, concerns about family members or friends, eating issues, sexuality issues (including sexual orientation), and questions about the use of alcohol and/or other drugs. We do not give out information about participation in or the content of counseling — even to faculty members, parents, or administrative staff members — unless a student gives us consent. Typically, that consent involves filling out a short written form that indicates with whom we may communicate and about what. The exception to this policy of strict confidentiality involves situations where we believe that a student is clearly dangerous to him/herself or to others. In those cases, we are ethically and legally bound as mental health professionals to inform persons, such as family members and/or residence staff, who can help reduce the risks of serious harm. The Dean of Students is also informed of these very serious situations.